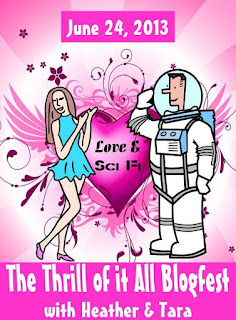 I love the idea of this blogfest, and I'm looking forward to reading what people come up with. I'd participate, but I don't really think I have anything thrilling enough to share. I'm passing on getting into blogfests for a bit but best luck on this one. M.J. - How about all the progress you have made? I am struggling with my entry too. I am sure there will be plenty of great entries. This sounds like a blast! Thanks for letting me know. Michelle - I know! I am so afraid I might choose something that is not relevant. Katie - You are so welcome. Jyoti - They are. I just have to work on my entry. Hope to see you there. This blog fest sounds interesting. I might join. Thanks for stopping by my blog,Murees. Cathrina - You are so welcome. Sorry it took me so long to stop by since A-Z. Hope to see you at the blog hop.